a. A holiday snap from the beach in Nice, France. 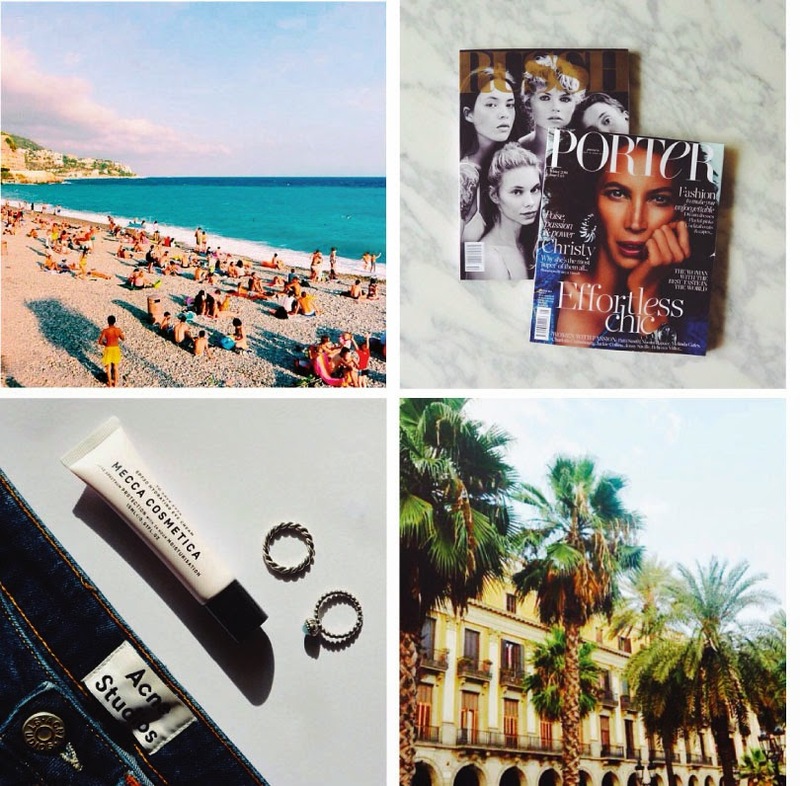 Forever longing for those summers on the French riviera. b. Some light reading, with Russh and Porter (net-a-porter) magazine's. c. ACNE's infamous 5 skin jeans make an appearance, alongside Mecca Cosmetica's "SPF 30 hydrating eye cream" from their namesake label which I received in their most recent beauty box (freebie box), and some Pandora rings. d. A flashback to balmy afternoons spent in Barcelona's gothic quarter.